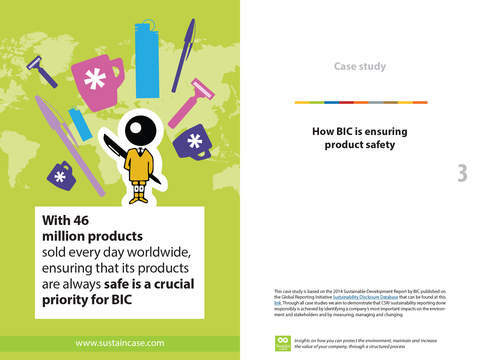 As a world leader in stationery, lighters, shavers and promotional products – with 46 million products sold every day worldwide and 85% of all BIC products manufactured by the Group in its own factories –, ensuring that its products are always safe is a crucial priority for BIC Tweet This!. 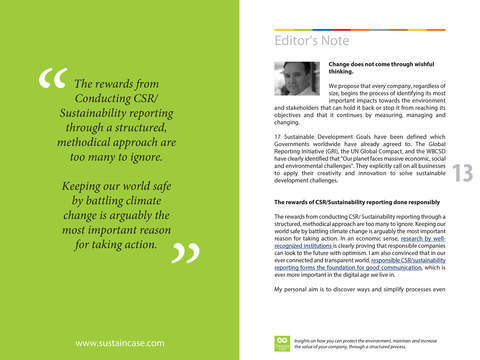 Every day, in more than 160 countries around the world, consumers and corporations buy 23 million BIC stationery products, 7 million BIC lighters, 12 million BIC shavers and 4 million BIC Graphic Advertising and Promotional Products. 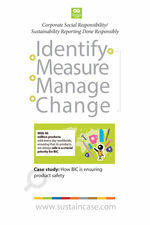 Guaranteeing the safety of its products is, thus, a top priority for BIC. 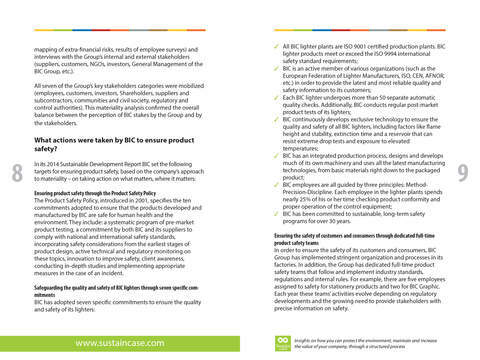 After measuring and setting targets, BIC took action to ensure product safety through its Product Safety Policy, safeguard the quality and safety of BIC lighters through seven specific commitments, ensure the safety of customers and consumers through dedicated full-time product safety teams, meet safety requirements at the product design stage, conduct safety qualification tests and, also, comply with the European REACH (Registration, Evaluation, Authorization and Restriction of Chemicals) regulation.